Join First Graduate as we honor our college graduates of 2019! Our Cap & Gown benefit event will be at the InterContinental Mark Hopkins in San Francisco, and will kick off with a reception at 6:00pm. Following the reception guests are invited to enjoy dinner, hear from students, alumni, and parents and present our First in Family Award to José Hernandez, a NASA Astronaut! We will also have a live auction. This guarantees to be a fun night, filled with joy and good spirits! Don't miss out! Join First Graduate for Cap & Gown 2019! 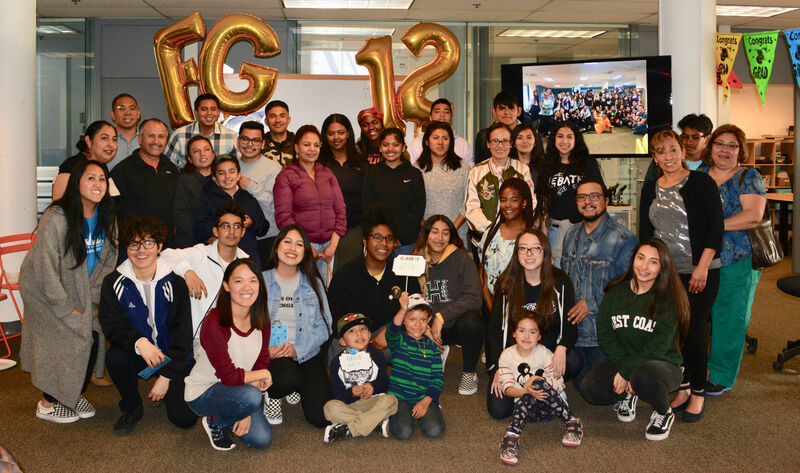 We are First Graduate, a non profit in the heart of San Francisco's Mission neighborhood dedicated to supporting, empowering, and enabling first generation students to graduate from college. Through a 12-year free program (recruiting students in 6th grade), we offer homework and study support, test prep, school evaluation, field trips and school/university visits, scholarship and internship access, community building, career exposure via visits to and from industry professionals, and more. We are the only program in San Francisco that helps students from the summer after sixth grade through college graduation and into their first jobs! Educational equity and social justice are at the heart of our work, thanks to your kind and generous support.